How Much Does a Vote Cost In Alaska? As a famous politician once said, money is the mother’s milk of politics. 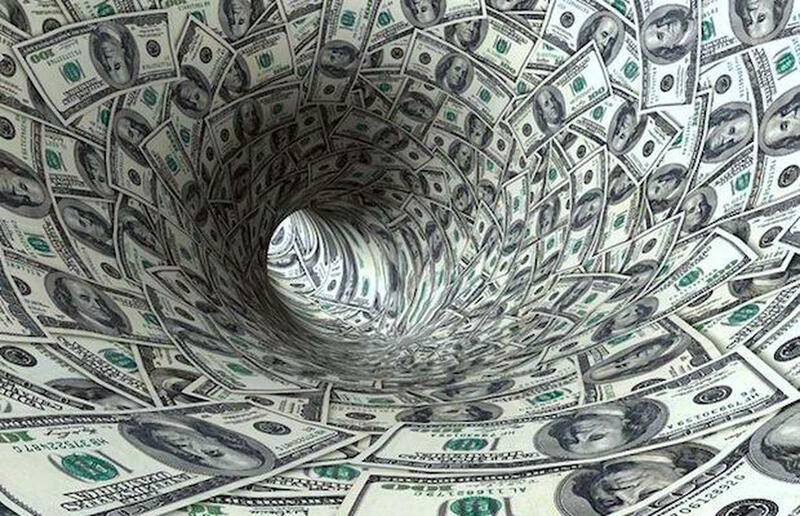 But what exactly did candidates and donors get for each dollar spent this primary election? 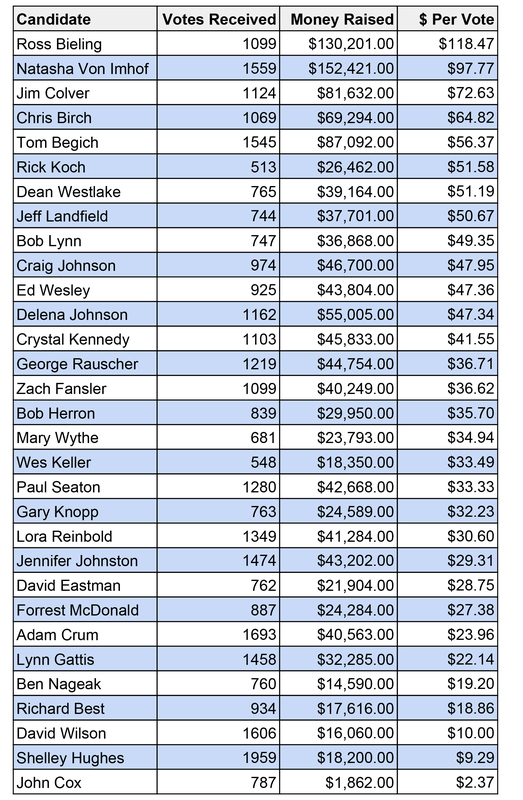 We crunched the numbers and put together this chart of how much bang for their campaign buck each state legislative campaign received. Campaigns have to disclose in real time how much money they raised in the final days before the election, but they don’t have to disclose how much they spent until well after election day. Since campaigns may not have spent all of their money or may be saving some for the general election, this chart isn’t a true “how much did they spend for each vote received.” It is a “How much raised for each vote received” chart. Many candidates put substantial amounts of their own money into their campaign accounts, but we didn’t back that money out of these totals. This chart then represents money raised from donors and the money candidates put in themselves. This chart is only money associated with a candidate’s own campaign account. Independent expenditure groups separately spent plenty to aid various candidates, but this chart doesn’t include that spending. Be the first to comment on "How Much Does a Vote Cost In Alaska?"